Denmark, Norway, Iceland. Another awesome works~they're in sailor uniform! So cute! >w<. 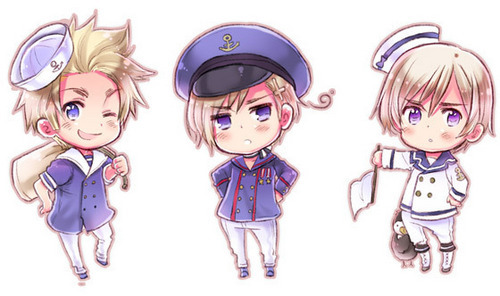 Wallpaper and background images in the Хеталия club tagged: hetalia official aph random chibi iceland denmark norway.